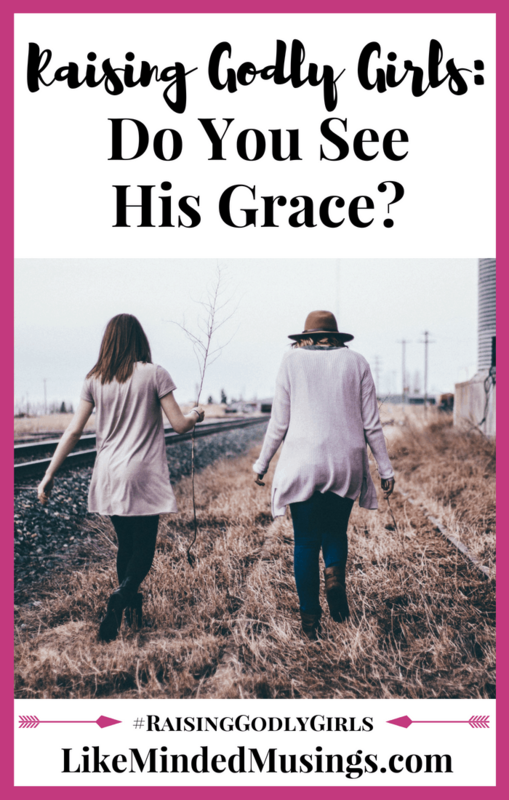 Raising Godly Girls: Do You See His Grace? This may be the most cliche thing I can say as a Mom, but I’m going to say it anyway. I wouldn’t trade one day of raising my teen girls for anything. I’ll take each mood swing, each time they talk back, each sweet conversation we have while driving from place to place. Each of these moments is a precious gift to me, and I’m hoping we can sit down for a moment and talk about why. God’s amazing, wonderful, complete and beautiful Grace. I am here today because I am loved with an everlasting love, from a God who holds nothing back. And while some days He feels distant, it’s not because He is. It’s because I’ve looked away. But He always pulls me back in. And sister, that is how we raise these children. Step by step, following Jesus, asking God to guide us. When I was 18 years old, I was recovering from 3 years of a vicious cycle of abuse. These years were the darkest years of my life, filled with self-hate, depression, and isolation. I hid all that happened to me from my parents, for fear that they would hate me if they knew what had occurred. I remember my Mom asking me how she could help, she was desperate since I had gone from a bubbly and goofy tween to a dark and suicidal teen in a matter of a few months. She loved me fiercely through this time, trying so hard to fix things for me, but there was nothing she could do to ease my self-loathing. No one at that time could tell me that I wasn’t broken, worthless and forgettable. By 16, I was coming through, surrounding myself with better friends and finally beginning to come out of that depression. My senior year was highlighted by my high school graduation, where my parents watched me walk up that aisle with such pride. That day meant so much more than just finishing school. For our family, it was a new chapter to a brighter future. But that joy was shortlived. One week after my high school graduation my Mom was diagnosed with cancer. We fought as a family alongside her until she lost that battle a year later when I was 19 years old. I wondered for so long how God could do this to me. Why would He bring me through all that I had suffered in the years before only to take away the one person who loved me unconditionally! She was my rock and my best friend, and now I was alone once again. The next few weeks and months were a complete blur. My brain blocked out all memories of that first year after her passing, the trauma was too much to deal with. But slowly over the next few years, as I grew up a bit, I began to notice small glimpses of God’s amazing grace in the most difficult circumstances. Two years later (almost to the day!!) I had my second beautiful daughter. And I thanked God over and over again. These girls were such a gift to me! My sister and I had always been so close, so seeing these two little sisters, and watching their relationship grow has been a greater gift than anything I could have ever asked for. This isn’t to say that they don’t fight, hit or even get on my nerves…believe me, they do! And those hormones…oh boy… they are seriously no joke. But when you’ve been in a place where you feel there is no place lower than where you are at, you start to recognize God’s hand when He gives you more than you even thought to ask for! God created each and every one of us unique and equipped for different things. He designed us to love Him and promised us that He will never leave us or forsake us, even when life feels impossible. Psalm 46:5 says: God is within her, she will not fall; God will help her at break of day. Did you see what God said there? He just flat out told us that He is there and He will not let us fall. Not only that, but He promises us that He will help us each and every day! He doesn’t check out when things get rough. He doesn’t expect us to do things on our own. And even when we forget to look towards Him, He makes things new with the break of every new day. I can look back over the last 20 years and not only see how God walked step by step with me through the darkest of days, He has given me strength that I wasn’t capable of having on my own. And He gave me a second chance. My daughters are now the same age that I was when my life took that first dark turn. I take very seriously the care that God has entrusted to me to care for these children who are His, not mine. But with that great responsibility comes great joy when I get to see that I finally have that Mother/Daughter relationship that I’ve been longing for so many years. I see so much of my own Mom in myself, and so much of me and my sister in my girls. Dear friends, I’m here today not to bum you out. I really hope this story is actually quite the opposite. My prayer for you today is that you can realize that God loves you and wants to help you raise your own teens. I pray that you can lean on God in your own dark times and wait expectantly for His grace and redemption on the other side. He is always there, and He won’t ever leave you. I challenge you today to look back over the dark times of your life and see if it’s possible that you’ve missed seeing God’s blessings for you as He’s brought you through. No matter where you are right now, God’s grace is there waiting to hold you tight. In the midst of trouble and trials, keep your eyes fixed on Him and He will show you the way you should go. And I promise, no matter how hard things are in a moment, nothing is too big for God. So even when you have one of those days where you may forget to show grace to your own children, God still wants to give it to you abundantly. And when you rest in His grace, you will find you can give more in return. If you’re struggling, need encouragement or would like prayer as you walk through this. Feel free to reach out to Angie by email or leave a comment for us below. We would be honored to pray for you in it. If we want to raise Godly boys, we need to connect them with Godly mentors. Growth and change come as we learn from others who love on us and share their life as an open book. Join Ed Miller of National Center of Biblical Parenting as he explains about how important and life-changing it is to have Godly Mentors in your son’s life in today’s post – Raising Godly Boys: Boys Need Mentors. Angie is a Married, work-at-home girl mom of two, born and raised in Sheboygan Wisconsin. She ‘loves to talk’ and is happy with a good friend and a good cup of coffee. She is the owner of Gathered & Sown where she creates Bible study tools and beautifully handcrafted leather accessories that bring organization and beauty to your time in the Word. 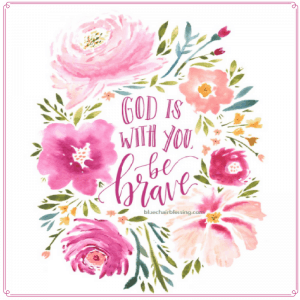 Through her writing on her blog and VIP emails, she loves to encourage other sisters in Christ. She believes each of us has a God-given purpose in this life and encourages you to find what yours is and make the most of it as someone, somewhere, needs exactly what you have to offer.